Hi! My name is Chantelle and I would love to teach YOU! I am a fluent, native English teacher. I have a TEFL certificate and 2 years of teaching experience. I am friendly, enthusiastic and fun. I love teaching English and creating a safe and encouraging learning space for students. I would like to teach you to speak the language well and help you to love English by creating a fun and valuable classroom experience. 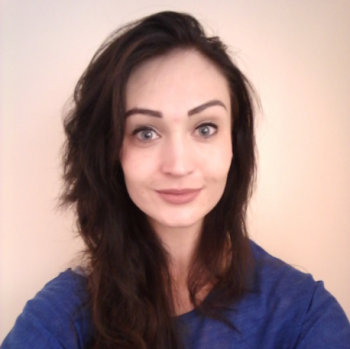 Chantelle has a TEFL certificate and 2 years of experience in group teaching. She is currently completing a Bachelor's Degree in Accounting. Her highest qualification is graduating high school with 8 distinctions. Her hobbies include playing instruments, singing, reading and watching movies. She is creative, fun and able to put together exciting lessons. Chantelle is passionate about instilling confidence in learners by creating a safe, encouraging space, to ensure that they reach their highest potential. She will be best suited for beginners and intermediate level students. Thank you for the wonderful class as always! I shared today’s main news in Japan, hundled text I chose, and enjoyed our conversation which was so satisfying. Besides you taught me some useful words I wasn’t familiar with. I appreciate you provide me fulfilling time whenever I see you. Hope to see you soon! Thank you for your productive lesson as always! You taught me several forms of English words like adjective, noun etc. It was so helpful that I could use those words next time in appropriate way. Your considerate attitude and encouragement make me motivated and inspired as well. Thanks again. I look forward to our next time!